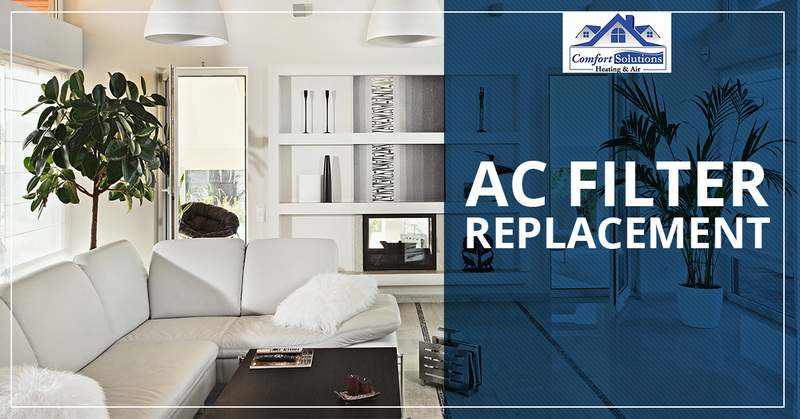 Replacing your home’s air conditioning filter is an important part of ensuring that your system is running properly and providing your home with clean, dust-free air. Your AC air filter will block everything from small dust particles to small pieces of insulation that have made it into your HVAC system. However, there are a lot of filters out there and each one will have varying degrees of protection against harmful allergens and small particles. If you have any questions about your AC filters, how to change them or when to change them, contact your Top Rated Local® HVAC Services company at Comfort Solutions Heating & Air. We’d be happy to help! The most important thing to note about AC filters is that they should be changed out regularly. You don’t need to call an HVAC expert to have them changed, but we’d be glad to assist you with the process during our next visit. All the air used in the HVAC system passes through your AC air filter, and as a result, dirty filters are one of the top causes of AC failure. The debris that gets stuck in your air filter can vary depending on your home’s indoor air quality. If you have pets, you’ll likely see your AC filters get dirtier, quicker due to shedded hair that makes its way into the HVAC system. Once a filter becomes too dirty, air won’t be able to pass through as easily and you’ll see higher energy bills and inevitably, a system failure. You should make it a habit to change your filter every month or two. However, if you have a pet or an unusual amount of dust or allergens in your home, it wouldn’t hurt to change them more often. Before you begin replacing your filters, you should make sure you’re purchasing the correct size and has an appropriate MERV rating for your home. If you have any questions about this process, contact an expert at Comfort Solutions Heating & Air. We’d be glad to speak with you and determine what the best air filter would be for your Lawton, Norman, Duncan, or Oklahoma City home. In addition to how often you change your AC filter, it’s crucial to pick a filter that will work best for your home. AC filters are categorized by their MERV rating, or Minimum Efficiency Reporting Value, a system developed by the American Society of Heating, Refrigeration and Air Conditioner Engineers. MERV values range from one to sixteen and filters with a higher MERV rating, the more efficient the air filter will be. Your first instinct may be, “why not always choose the highest MERV rating filter if it will be more efficient?” Well, you can, but that also means you’ll have to replace your filter more frequently due to more particles being trapped in the filter. Additionally, a higher MERV rating filter will reduce the amount of airflow and could lead to higher energy bills. Fiberglass AC filters are thin. These filters were originally manufactured as a way to protect your HVAC equipment itself, but are now used to improve your home’s indoor air quality. Although these filters are very cheap at around a dollar a piece, they only have a MERV rating of one to four which won’t go very far to prevent harmful allergens from circulating throughout your home. These types of filters typically have a MERV rating of around ten to thirteen and remove up to 45 percent of air pollutants. They’ll cost you around ten dollars each. These are often the most practical filters for residential AC systems. They have a MERV rating between fourteen and sixteen and will block up to 85 percent of pollutants in your home. HEPA air filters will remove up to 98 percent of the pollutants from your home and are the best filtration option on the market. In order to get the correct size of air filter for your HVAC system, you’re going to need to first measure the dimensions of your old air filter. Use a tape ruler to measure both the length and width of the filter, in addition to the thickness. When you’re searching for a filter, it will be labeled as (length x width x depth). If you have any questions about how to select an air filter, contact an expert HVAC technician at Comfort Solutions Heating & Air. As your Top Rated Local® HVAC Company in Lawton, Norman, Duncan and Oklahoma City, we take pride in providing our customers with the highest quality care for the greatest value. 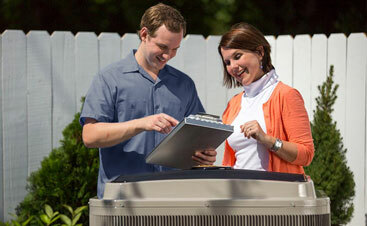 We are a full-service HVAC company, so no matter what job you need doing, we’re the ones to call. Need air conditioning repair? No problem! 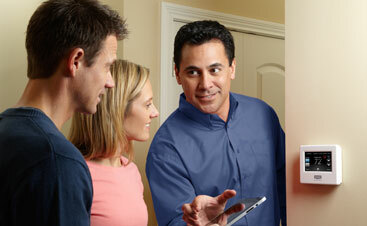 Need a full HVAC system installation? We’ll do that too! We offer free consultations and warranties on everything we do, so there’s no need to worry that you’re getting a dependable service.